A recent rediscovery of good quality wooden chopsticks had led to revisiting wood as a cutlery element. 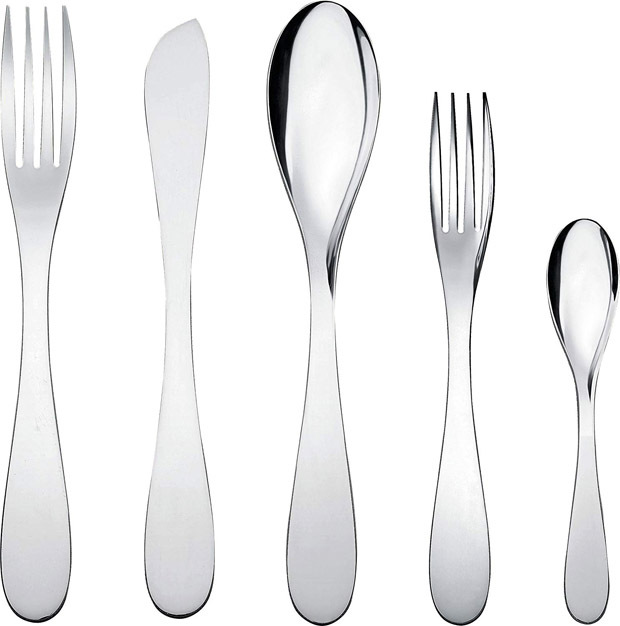 The focus on the environment has also led others to look at wood and it’s place in flatware. 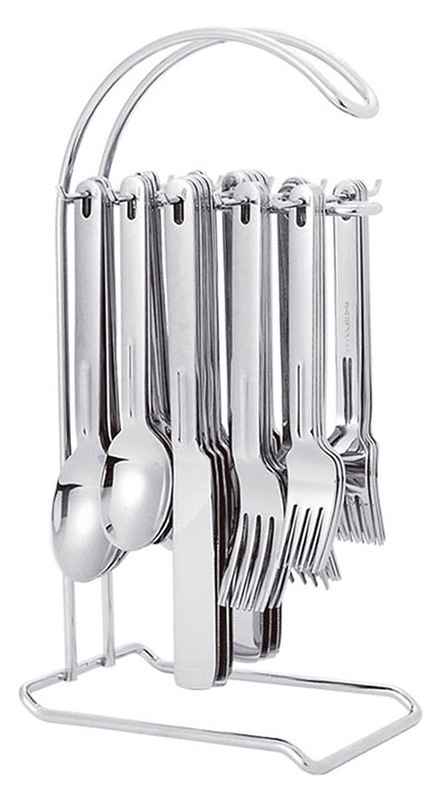 Lanskyware has an interesting design with their 20-piece stainless steel flatware set with wood handles. 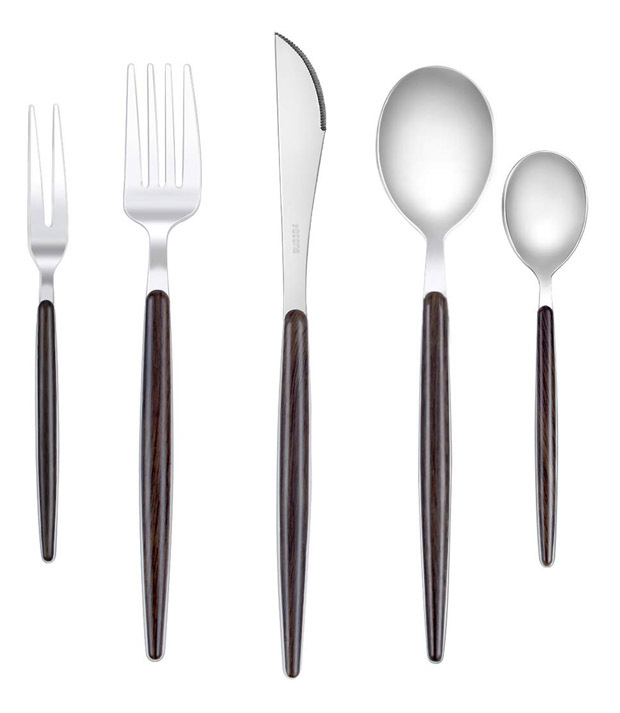 This set is made with 18/10 stainless steel and food grade non-toxic wood. Be warned, this cutlery will not suffer the dishwasher gladly. 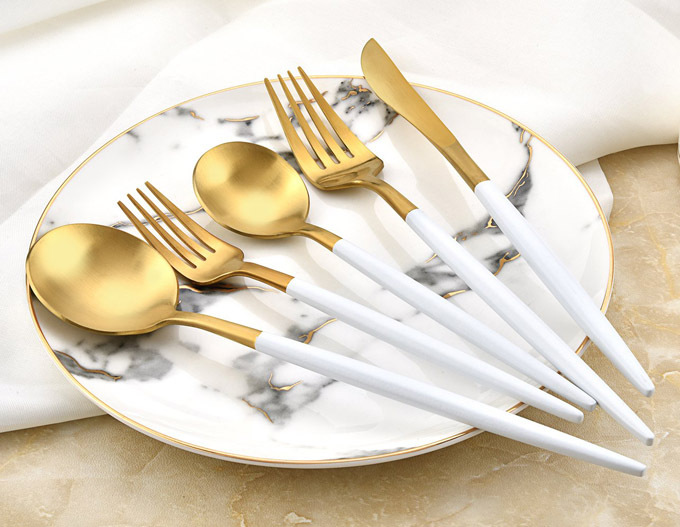 The set consists of a service for 4: including 4 dinner forks, 4 salad forks, 4 dinner spoons, 4 teaspoons and 4 knives. Be warned again that the salad forks and teaspoons are pretty small.